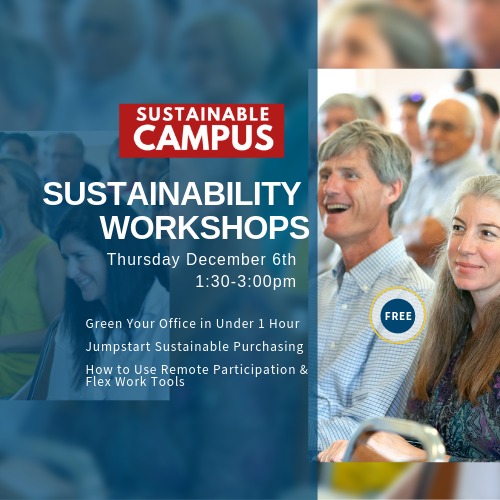 Join us for this interactive workshop where you will identify sustainable actions your office currently takes, and learn simple useful changes you can make to reduce your waste and energy impact on-campus. The Green Office program at Cornell helps teams understand their current practices, identify new ways to improve sustainable practices, and work towards a certification. By attending this event, you can earn or renew your green office certification and create a plan to achieve a Gold/Platinum rating. It's easier than you think! Please plan to bring a laptop to this event.